Is Johnson Controls Stock Fairly Valued? What Is Johnson Controls’ Revenue Breakdown? Did Investors Get A Good Deal With The Sale Of Johnson Controls’ Power Solutions Business? Why Are We Bullish On Johnson Controls? What To Expect From Johnson Controls’ Quarter 1 results? Johnson Controls (NYSE: JCI) will release its Quarter 1 (ended December 2018) for Fiscal Year 2019 on February 1, 2019 and do an earnings conference call. The market expects the company to post revenue in the range of $5.43 billion and earnings are expected to be around $0.24 for the Quarter 1. On November 13, 2018 the company announced a sale of its power solutions business for Net cash proceeds of $11.4 billion (after taxes and expenses). The company has announced that $3-3.5 billion of the said proceeds will be used towards Debt payment. 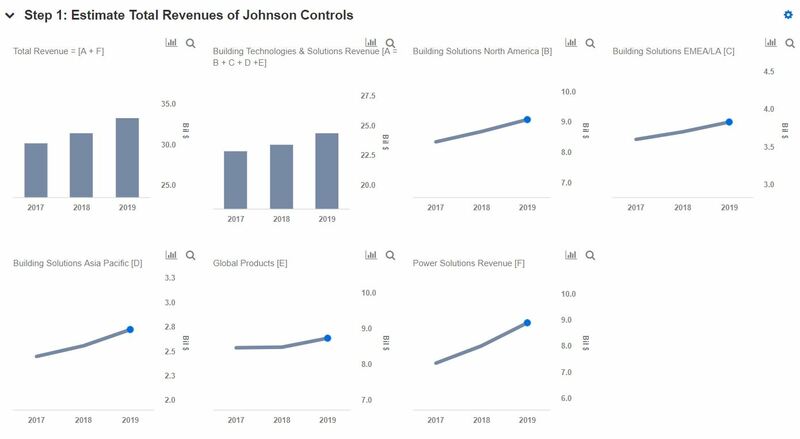 We have created an interactive dashboard on Our Outlook For Johnson Controls In 2019, which details our forecasts for the company in the near term. 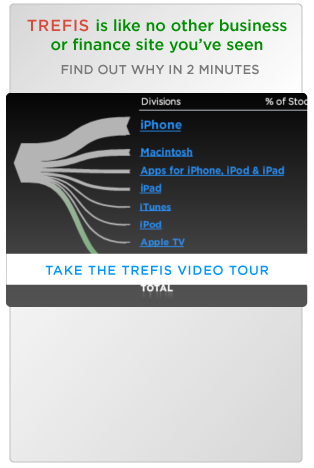 You can modify our assumptions to see the impact any changes would have on the company’s revenue. Addition of New Salespeople: During FY 2018, the company added 950 sales people net of attrition representing roughly an 11% increase on the existing salesforce, which came in much higher than the 400 originally intended. Based on the strong order momentum, the company’s backlog was up 8% at $8.4 billion heading into FY 2019, ensuring continued growth in field revenues next year. Synergies and Productivity: JCI committed to a significant restructuring plan in FY 2017 related to cost reduction initiatives. The company currently estimates that upon completion of the restructuring action, there will be a significant reduction in annual operating costs from continuing operations, which is primarily the result of lower cost of sales and selling, general, and administrative expenses due to reduced employee-related costs, depreciation, and amortization expense. Such measures will result in an improvement in the margins. JCI achieved synergy and productivity savings of $257 million in the year, coming in higher than the $250 million that was originally planned. This benefit is set to continue in FY 2019, with the management guiding for an additional $250 million or $0.23 per share. Favorable Macroeconomic Environment: Rising GDPs across its key geographic region has resulted in a conducive macroeconomic environment, despite FX volatility, inflationary pressures, and trade policy concerns. This has aided the growth in the North American non-residential construction markets. Moreover, the rebound in global oil prices has helped to ease budget constraints in the Middle East, supporting the release of some large infrastructure projects in the region. These trends are expected to continue in the near term. Impact of Steel and Aluminum Tariffs: JCI is a direct buyer of steel and aluminum totaling approximately $225 million on an annual basis. The company does all of its steel needs and 70% of its aluminum needs from within the country and thus the direct impact of the tariffs will be minor. Though, the impact of the tariffs on Chinese original goods is roughly $130 to $140 million, with about half of that coming in the previous Fiscal Year. Consequently, JCI is actively managing pricing in the supply chain, as well as externally, to mitigate any impact, and seems to be in a strong position to offset any potential headwind. Share Repurchases:During the fourth quarter, JCI repurchased 1.2 million shares for $45 million, while for the year, the figures were 7.7 million shares and $300 million, in line with its original plans. Recently, its Board of Directors approved an additional $1 billion share repurchase authorization, which is in addition to the $900 million that is remaining. Consequently, for FY 2019 JCI expects to complete approximately $1 billion of share repurchases, which should provide a boost to its EPS. What Key Factors Drove Charles Schwab’s Q1 Results? What To Expect From Johnson & Johnson’s Q1? Could ConocoPhillips Outperform In 2019?